This is the first in a series of stories we'll be writing periodically about things that comic books can learn from other media. When Dan Harmon was fired as the showrunner on Community, a show he co-created, a few months ago, a lot of conversation happened about the role of "showrunners" and creators on network TV series. With a lot of money on the table, networks are loathe to give even the most gifted and beloved showrunners total creative control or anything resembling creator-ownership over the shows they work on. Harmon, in a recent interview, even allowed that he would have fired Dan Harmon, were he in Sony's unenviable position, because there were a lot of moving pieces, some of which were beyond the control of either Harmon or the show's owners (NBC, who distribute and exhibit the show, control things like time slots and how much promotion the series gets, etc.). The result is that if something goes sideways and the public face behind a fan-favorite show is ousted, things can sometimes get ugly. The same thing, of course, happens quite a lot in comics. They've "fixed" this in the television industry by giving fired showrunners a consultant credit and a little bit of money for episodes made after they're gone. Is it a perfect system? Not by a long shot. Dan Harmon gave a pretty explicit description of what he'd be doing to earn his "Consultant" credit, and none of it had anything to do with Community. Still, it's hard to imagine that a little credit and some small royalties wouldn't go a long way toward helping to patch things up with guys like Tony Isabella and Jim Starlin in the comics industry. For the uninitiated, Starlin is a long-standing comics veteran with credits like Dreadstar and Breed under his belt, but he's probably best known for his work on Marvel's cosmic stories, from the '70s until the '90s. 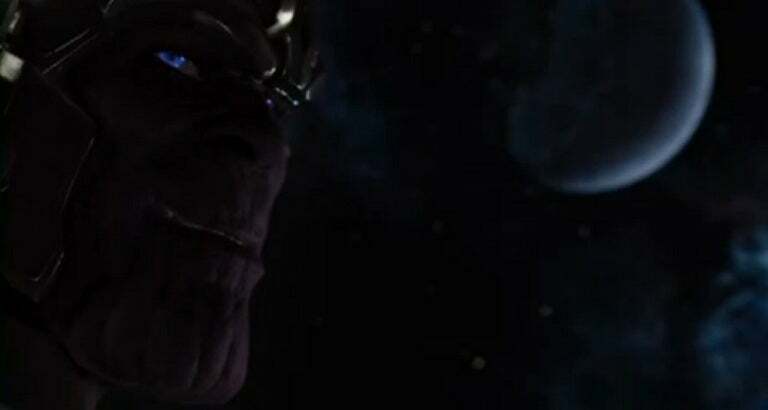 He wrote The Death of Captain Marvel and The Infinity Gauntlet, worked with some of the most remarkable artists in the industry and created Thanos, the Mad Titan who will apparently be the central antagonist in Guardians of the Galaxy and/or Avengers 2 when they come to theaters in the next three years. He was also never invited to Marvel's The Avengers and found out that Thanos had been used in the film secondhand. At the Albany Comic-Con earlier this year, he told a panel audience that Marvel was not honoring royalty agreements in place on some of his older material, including some of the evergreen graphic novels he's produced for the publisher. Isabella, meanwhile, co-created the character of Black Lightning and has had ownership quarrels with DC Comics almost ever since. He also--like Rob Liefeld did the other day--tends to express himself very vocally when he's unhappy with the direction of the character (although with the newly-relaunched New 52 version, he seems to have lost some of that fire, telling fans and reporters who asked his opinion essentially, "You know my opinion; it hasn't changed." Isabella often draws the ire of fans, who claim he's taking the Bob Kane/Stan Lee route of trying to claim too much credit for his creations, failing to allow for the influence of the artist on character creation (in the case of Black Lightning, that's Trevor Von Eeden). This is not an uncommon challenge in comics--look no further than the Tony Moore/Robert Kirkman lawsuits for evidence of that--but it's arguably particularly galling in the case of a guy who is so public with his own frustrations over the rights to his creations. Of course, in a perfect world, surviving creators who still work in comics (or try to) would be offered the right of first refusal to work on reboots and major projects featuring the characters they've created, particularly if it's a character that's widely associated with them by the fans. It's been well-documented that Alan Moore was courted in a variety of ways over a number of years while DC thought there might still be some hope of luring him into the project that eventually became Before Watchmen, but Isabella, Starlin and many more. 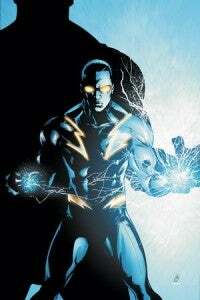 Dan Mishkin created both Blue Devil--who makes his reappearance alongside Black Lightning in an upcoming New 52 story from DC Comics--as well as Amethyst, Princess of Gemworld, a property that's being resurrected around the same time as a new, ongoing series. While I've never spoken to Mishkin myself, it seems pretty unlikely that he was offered an opportunity to relaunch or consult on either of those properties, and he likely found out that characters he's presumably proud of were being reinvented the same way the rest of us did--reading the stories online or hearing it over the counter at the local comic shop. But I've talked to a number of creators over the last year or so (these kinds of things come up in conversation more and more now that Before Watchmen is such a hot-button issue) who feel that one of the little things that publishers could do to engender a little good will (but that's still pretty uncommon) is that thing that almost every television series you'll ever see already does: just include a "created by" credit in the masthead. It's certainly not an alien concept to comic book producers--it's been one of the concessions they've made over the years to a number of creators who either asked for it up front, during a time when the publisher found them indispensable or maybe just during a lawsuit. Characters from Superman and Batman to Booster Gold are routinely credited to their creators in the pages of DC comics. The publishers are likely hesitant to commit to this because it puts them in a position where if it ever goes to litigation, they've confessed in print that someone is the "creator" of something, the originator of an intellectual property, and that more likely than not will send a suit to trial rather than get them the summary judgments that corporations long for in those situations. They prefer to have the characters associated with the company first--"DC Comics Presents Deadman"--rather than the author, as is more common in the television, film and even prose writing industries (there's actually considerable cache to having Robert Ludlum's name above the new Jason Bourne novel or Larry Niven's splashed all over a Man-Kzin Wars title written by somebody else entirely). It won't please everyone; certainly Alan Moore wouldn't be pacified by such a credit (which he usually gets anyway) and guys like Isabella, whose anger is so deeply ingrained and which is directed at the culture of comics as much as one particular slight, would be unlikely to fall in line for the print equivalent of an attaboy, either. But anything that's a step in the right direction is...well, a step in the right direction. And for some people who identify closely with their creations, such a credit can be a huge thing (think again of Liefeld, who proudly boasted on Twitter that without him, Deadpool, X-Force and Cable simply wouldn't exist).